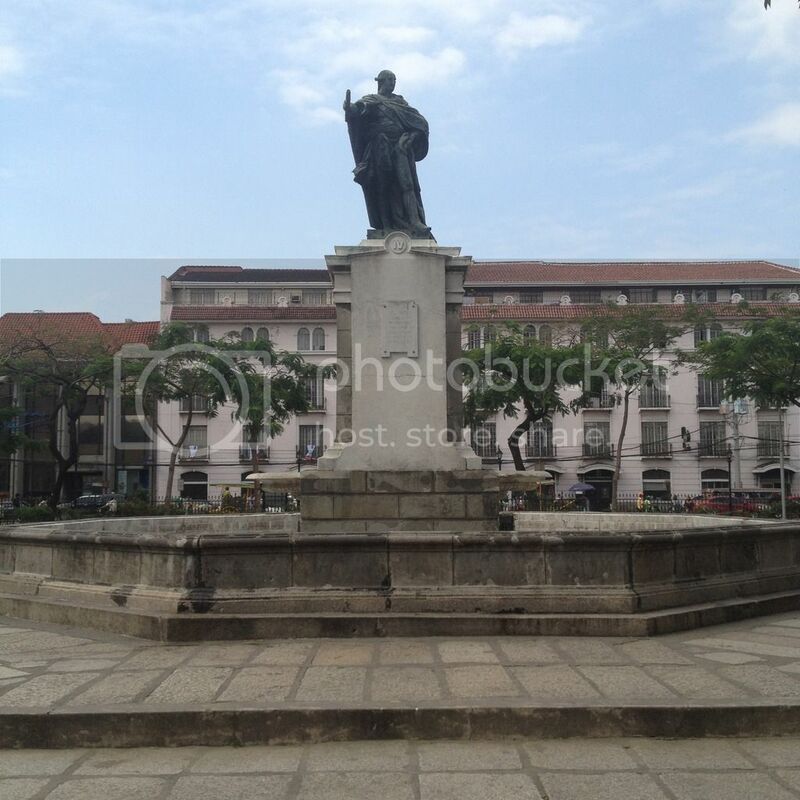 Right in front of the Manila Cathedral is the Plaza de Roma (or Plaza Roma), a Spanish colonial era structure. Around it is the Ayuntamiento to the east, the Manila Cathedral to the south, and the Palacio del Gobernador to the west. The typical set-up of churches around the Philippines is that it has a public plaza right in front of it. This is the same for the Manila Cathedral and Plaza de Roma. Plaza de Roma is in a block surrounded by General Luna Street (former Calle Real del Palacio) to the west, Santo Tomas Street to the south, Daan Cabildo to the east, and Andres Soriano Avenue (former Calle Aduana) to the north. It is right in the heart of Intramuros. Prior to its conversion into a park and a garden in 1797 by Governor General Rafael Maria de Aguilar, the public square was a venue for bullfights and other events. Converted into a park in 1797, the Plaza de Roma was once called Plaza Mayor. In 1901, it was renamed Plaza McKinley after American president William McKinley. It was again renamed in 1961 to Plaza de Roma as an honor to the Sacred College of Cardinals of the Roman Catholic Church in Rome after the elevation of Rufino J. Santos as the first Filipino cardinal. In return, a plaza in Rome was also named Piazzale Manila. As a tribute for introducing the smallpox vaccine to the Philippines, a monument in honor of King Carlos IV of Spain was erected in 1824. A fountain was built at the plaza in 1886. A monument to Gomburza replaced the Carlos IV monument in the 1960's. The Carlos IV monument was re-installed in 1981. Carlos IV was the king of Spain from 14 December 1788 to 19 March 1808.